Kim Harrington lives in Massachusetts with her husband and son. When not writing, she’s most likely reading, watching one of her favorite TV shows, or fantasizing about her next vacation. She has no psychic powers and is cool with that. CLARITY is her debut novel. 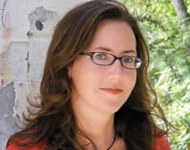 Visit her online at Kim Harrington’s website. Clarity — (2011-2012) Young adult. Publisher: When you can see things others can’t, where do you look for the truth? This paranormal murder mystery will have teens reading on the edge of their seats. Clarity “Clare” Fern sees things. Things no one else can see. Things like stolen kisses and long-buried secrets. All she has to do is touch a certain object, and the visions come to her. It’s a gift. And a curse. When a teenage girl is found murdered, Clare’s ex-boyfriend wants her to help solve the case — but Clare is still furious at the cheating jerk. Then Clare’s brother — who has supernatural gifts of his own — becomes the prime suspect, and Clare can no longer look away. Teaming up with Gabriel, the smoldering son of the new detective, Clare must venture into the depths of fear, revenge, and lust in order to track the killer. But will her sight fail her just when she needs it most? 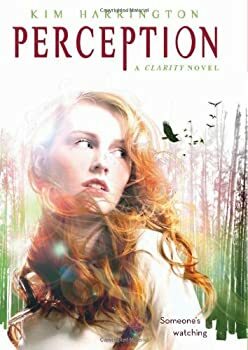 Perception is Kim Harrington’s second mystery starring Clarity “Clare” Fern, a young girl who comes from a family of psychics. Clare’s special power is psychometry: she can touch an object and see scenes from its past. The Dead and Buried — (2013) Publisher: A haunted house, a buried mystery, and a very angry ghost make this one unforgettable thriller. Jade loves the house she’s just moved into with her family. 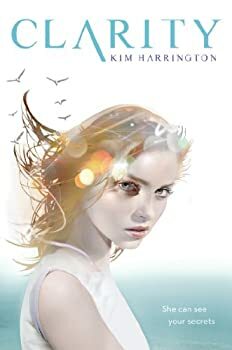 She doesn’t even mind being the new girl at the high school: It’s a fresh start, and there’s that one guy with the dreamy blue eyes… But then things begin happening. Strange, otherworldly things. Jade’s little brother claims to see a glimmering girl in his room. Jade’s jewelry gets moved around, as if by an invisible hand. Kids at school whisper behind her back like they know something she doesn’t. Soon, Jade must face an impossible fact: that her perfect house… is haunted. Haunted by a ghost who’s seeking not just vengeance, but the truth. The ghost of a girl who ruled Jade’s school — until her untimely death last year. It’s up to Jade to put the pieces together before her own life is at stake. As Jade investigates the mystery, she discovers that her new friends in town have more than a few deep, dark secrets. But is one of them a murderer?